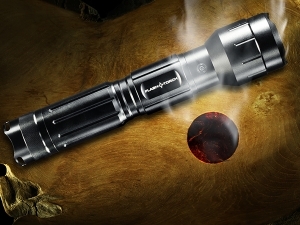 From the makers of the world's most refined lasers, comes the ultimate in handheld flashlights. The FlashTorch is a compact, portable searchlight that is capable of producing an incredible 4100 lumens of intense white light. Use this power to guide your way home, light a fire, or even fry an egg! Machined from military-grade anodised aluminum, the FlashTorch is tough enough to survive in the harshest of environments. The heat-resistant lens and reflector will channel the intense light into a wide floodlight or searchlight, and the halogen lamp's expected life of 2000 hours will ensure that this is a flashlight that you can always rely on. 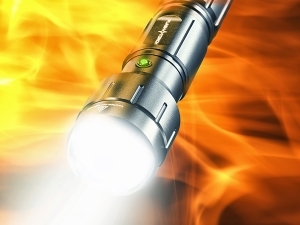 Utilising Lithium technology, the FlashTorch is now lighter and has a longer run time. 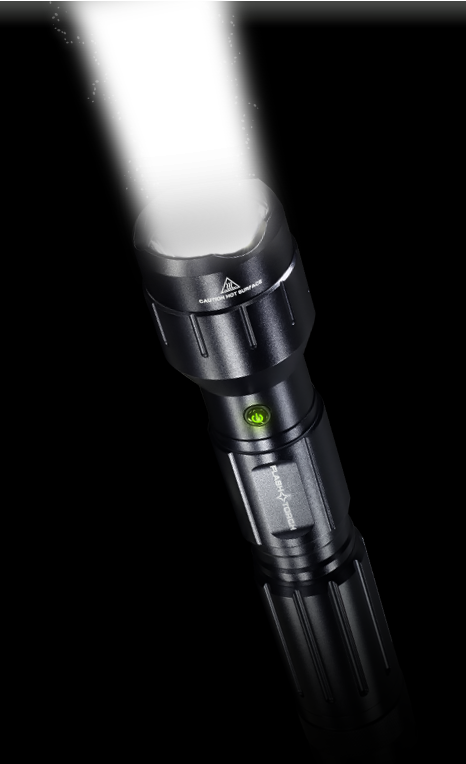 With 3 power selection modes, the brightness of the FlashTorch can be tailored to your own needs. It can also be recharged without having to remove the battery, and the new automatic lock-out mode will prevent accidental use. Each FlashTorch includes a battery and a charger. We guarantee delivery to every country in the world or your money back. We guarantee your FlashTorch will be free from defects for a full year from the date of receipt. We guarantee a 30-day money back return policy. 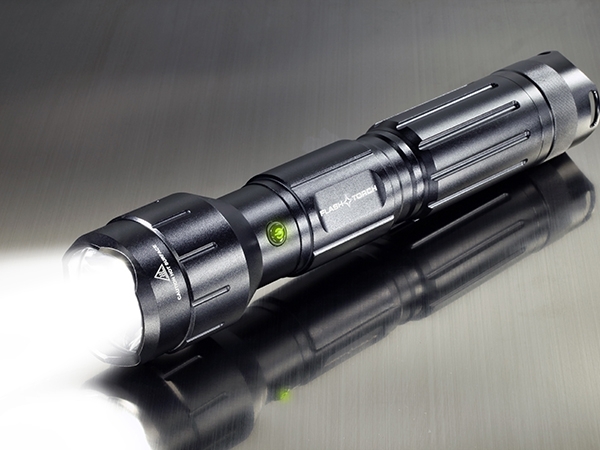 The world's brightest and most powerful flashlight with 4100 lumens of raw light power. 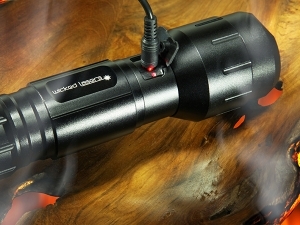 18650 Lithium-Ion 4 x Battery Pack specifically designed for The FlashTorch flashlight. Download the FlashTorch User Manual for instructions on usage.